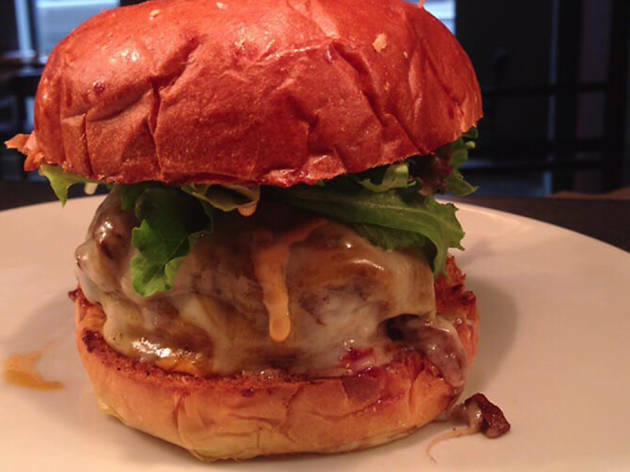 Carving Room is known for its finely crafted sandwiches made with high quality meats—and its signature burger is no exception. Made from ground brisket and piled high with mixed greens, bacon onion compote and sriracha mayo, this burger is a spicy, flavorful delight. 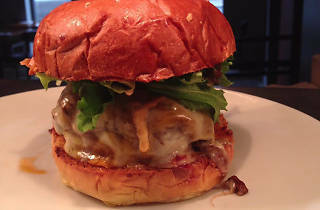 It’s served on a brioche bun and comes with fries or side salad. Carving Room’s rotating draft list, low-key ambiance and solid happy hour make it a go-to spot to blow off some steam after work. It’s no surprise, then, that the venue has garnered some attention in recent years, including a spot on the Food Network’s Diners, Drive-In, and Dives.